Meet our eight students (three designers, three photographers and two copywriters) who joined us in the Digital Marketing and Creative Services department for six months, on a 15-hour a month paid placement basis from December 2016 - June 2017. The aim was to enhance students’ employability through helping them to develop the practical ‘hands-on’ skills that they are already being taught on their course. Our students were mentored by members of our team and have formed close relationships with industry. We focused on building their portfolios and getting them used to working in a busy, creative department. Each left with a portfolio bursting with work and held a showcase to show just how much they had achieved in their time with us. On Friday 9 June 20017 we held our first ever NTU Creative Radar Student Roster Showcase. 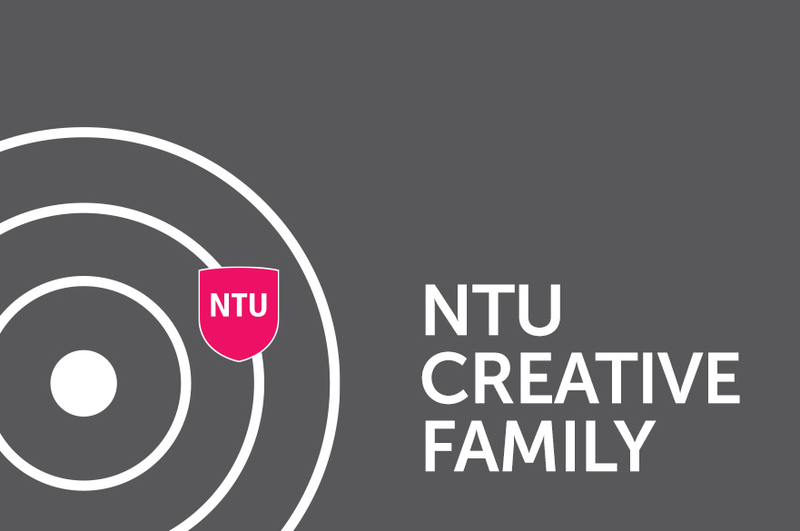 It was a celebration of our students' hard work, our partnerships with local creative agencies and the successful employability opportunities that we created in our very own Digital Marketing and Creative Services department at NTU. Last year we launched a ‘Student Roster’ on a trial basis working with the School of Art & Design and the School of Arts and Humanities under a Creative Radar campaign. We successfully employed eight students (three designers, three photographers and two copywriters) who joined us in the Digital Marketing and Creative Services department for six months, on a 15-hour a month paid placement basis from December 2016 - May 2017. Having our key target audience give us direct feedback on content we were creating has been invaluable to the team and bought an exciting new energy to the office. In return, the students picked up very useful skills including working to a brief, working collaboratively, meeting deadlines and how to build a portfolio. Our students were mentored by members of our team and have formed close relationships with industry, including members of our NTU Creative Family - The Dairy, Damian Stevenson Proofreading and Editorial Services and David Baird - Photographer. We focused on building their portfolios and getting them used to working in a busy, creative department. Based on the quality of the work that was displayed at the showcase and the bursting portfolios that each student left with, we are happy to say that the trial was a huge success, and we can;t wait to do it all again. We intend to make the student roster even bigger and better this year by adding eight new roles, which are pending confirmation. Watch this space for more information and exciting new opportunities. If you have any queries please email Cen Mustafa.